. . .king and talking, and scheming for ever, for coming home.'" "Ah! home is a full cup," moaned Grannie. "It was a show the way that lad was fond of it. 'Give me a plate of mate, bolstered with cabbage, and what do I care for their buns and sarves, Grannie,' says he. Aw, boy veen, boy bogh!" Set on the Isle of Man, two cousins, both conceived in shame, become involved with a comely young maiden. It was a good book, so sad in the end though. 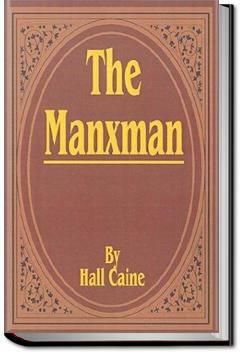 I would describe The Manxman as the Isle of Man's answer to Wuthering Heights. What makes The Manxman different to WH is that this is as much of a platonic love story between two best friends as well as the traditional, unspoken longing between lovers of different social classes.